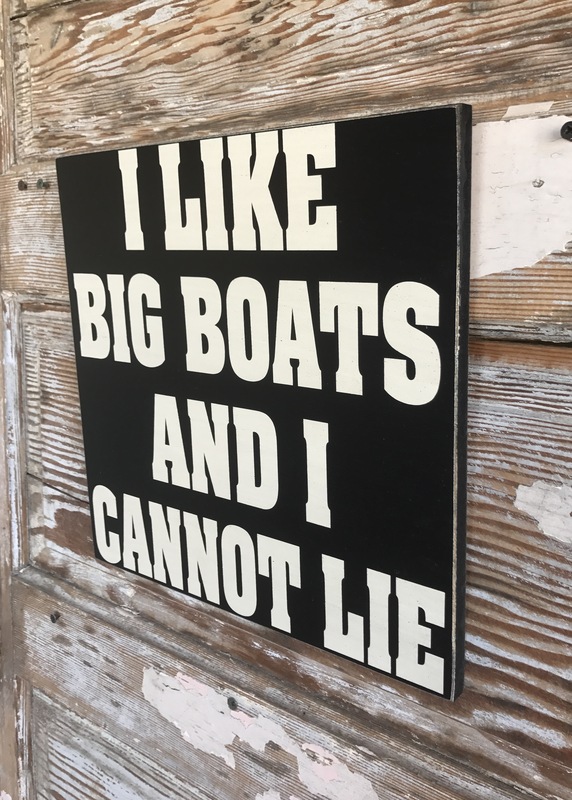 I Like Big Boats And I Cannot Lie. 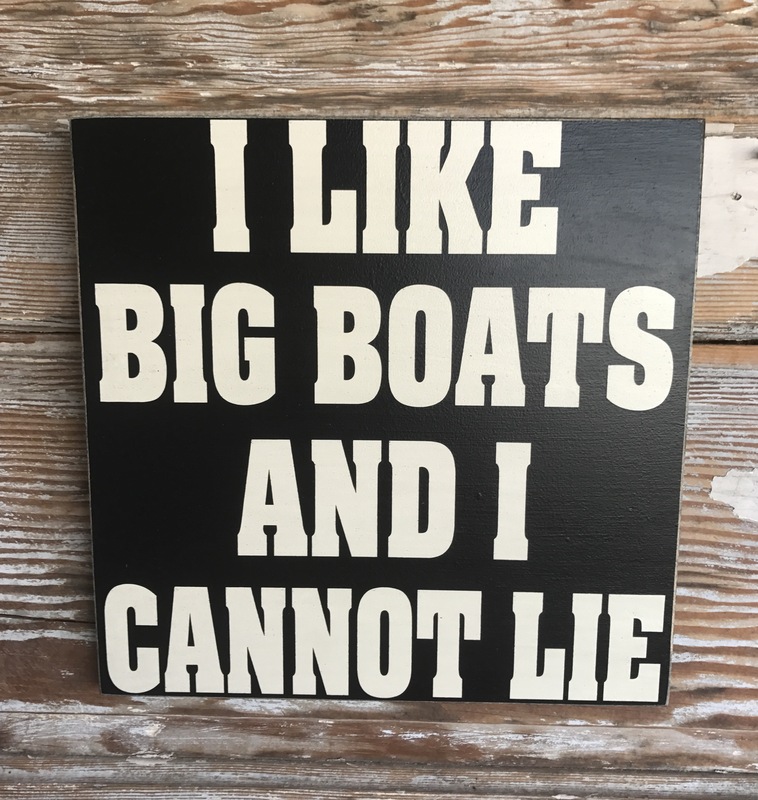 This sign measures approximately 12"x12". As Pictured, Black sign with Off White lettering. The edges are distressed and the sign is sealed for years of enjoyment. A seven saw-tooth hanger is attached so your sign arrives ready to hang. This sign is hand crafted and painted with care. No vinyl or stenciling was used in the production. Extra time is taken to ensure your painted sign with design and/or lettering comes out crisp. Our signs are proudly made in the U.S.A.
Normal production time is 1-2 weeks. A Black sign with Off White Lettering is our standard color combination and our best seller. This combo can be ordered by simply selecting "As Pictured" from the Pull Down Menu. Larger sign sizes also available under the "Size" Drop Down Menu. Feature: MADE IN THE U.S.A. I like this sign and I cannot lie... lol. Great quality, fun sign. This sign is hysterical! Love everything about it. Superb quality, the painting on it is above par. Fast shipping too!